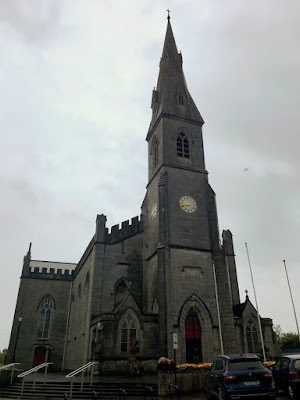 I took the train from Limerick to Ennis yesterday [1 August 2018] and spent the morning in the county town of Co Clare on the banks of the River Fergus, visiting the cathedral, the friary churches and the Church of Ireland parish church. The Cathedral Church of Saint Peter and Saint Paul, at the junction of Station Road and O’Connell Street in Ennis, is the cathedral of the Roman Catholic Diocese of Killaloe. The Roman Catholic parish church originally stood on what is now Chapel Lane, and was built in 1735, and is now used as a community centre. The chapel was too small for a growing parish and its location made it impossible to extend the building, and plans to build a new church were frustrated by a public dispute – involving the chaplaincy at Ennis jail – between the parish priest of Ennis, Dean Terence O’Shaughnessy (1761-1848), and his curate, Father Patrick McDonogh. Dean O’Shaughnessy was a nephew of Bishop James O’Shaughnessy of Killaloe and was a difficult but colourful public figure. He had witnessed the execution of Louis XVI in Paris in 1793, and in 1828 he was criticised for not publicly supporting the election campaign of Daniel O’Connell, perhaps because the other candidate, Vesey FitzGerald, had been a generous donor to Ennis parish. 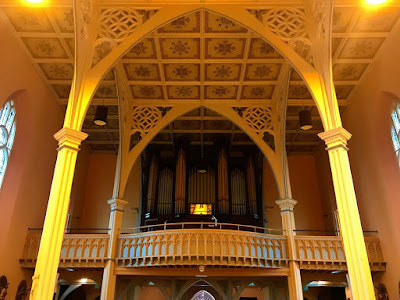 The principal local landlord, Francis Gore, donated the site for a new parish church in Ennis to the Diocese of Killaloe 190 years ago in 1828, the year Daniel O’Connell was elected MP for Co Clare and a year before the enactment of Catholic Emancipation. 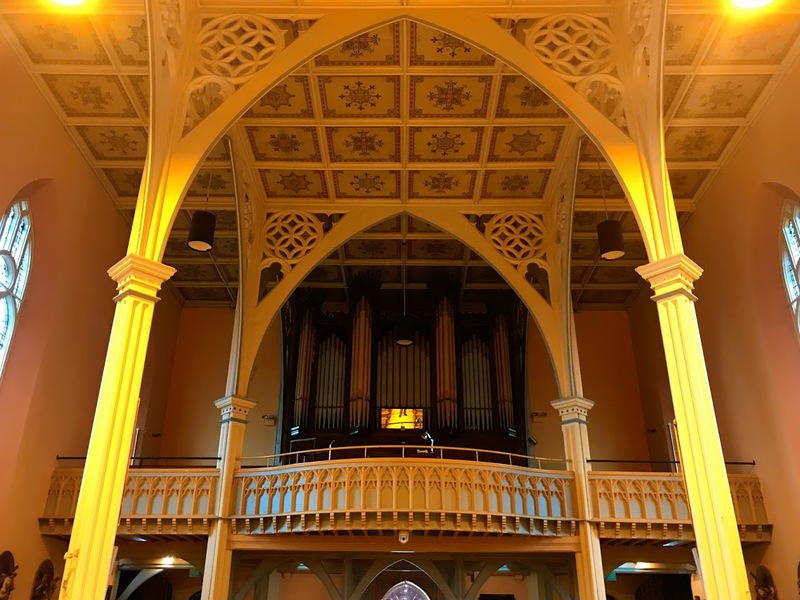 Plans were drawn up later that year, and Dean O’Shaughnessy expressed the hope that the new parish church would in time become the cathedral of the Diocese of Killaloe. The winning design was drafted by the architect Dominick Madden, who had been disgraced earlier in his career, accused of stealing furniture from the Vice-Regal Lodge in the Phoenix Park, Dublin, but who had been commissioned the previous year to design the new cathedrals in Ballina, Co Mayo, and Tuam, Co Galway. Madden’s designs for his three cathedrals in Ballina, Tuam and Ennis display a very simple form of Gothic that shows little of the influence of AWN Pugin. The foundation stone was laid in June 1828, but the progress on building work was slow, and it was further delayed by yet another public dispute – this time between Dean O’Shaughnessy and the Franciscans, who had opened a new church in the town at the end of 1830. In 1837, the dean was suspended from office for denouncing the Christian Brothers, who had been in the town since 1827. 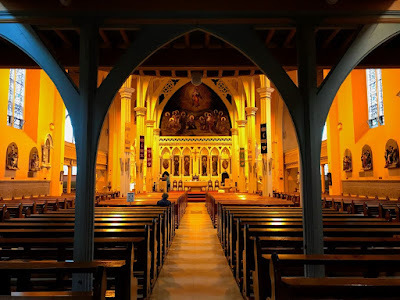 Building work was resumed in November 1836, but proceeded slowly, and the unfinished church was first used for celebrating Mass on 4 September 1842. Within six months, the church was dedicated to Saint Peter and Saint Paul by Peter Kennedy, Bishop of Killaloe (1836-1850), on 26 February 1843. However, both fundraising and building work were set back yet again as the economic consequences of the Great Famine were felt throughout Ennis. Meanwhile, Dean O’Shaughnessy died in 1848, and was buried in the church without ever seeing either its completion or its dedication as a cathedral. The interior was completed under the supervision of JJ McCarthy in 1861. The arcades and piers, the panelled ceiling and the gallery at the west end are his work, as were the altars and the reredos. Work later resumed on the tower and spire, and they were completed by Maurice Fitzgerald in 1874. The cathedral is built of limestone ashlar and has a crenellated parapet and tall pointed windows with tracery. The original façade is partially obscured by the porches, but the original doorways can still be seen inside. The three-storey diagonally buttressed tower is surmounted by a broach spire and rises to a height of 42.6 metres. Inside, there is an aisled nave of six bays with clerestory and transepts, each of two bays. 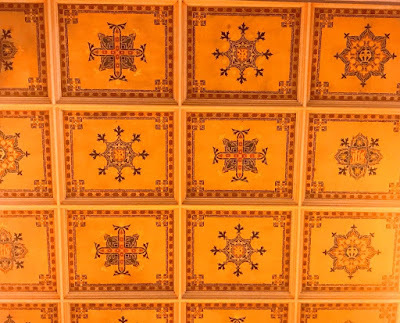 The slender Doric piers with fanciful tracery in the spandrels support a coffered ceiling of floral patterned square panels, painted by Earley and Powell, and divided by white ribs. The carved stone reredos was designed by JJ McCarthy and executed by the Birmingham-based Hardman partnership, closely associated with Pugin. The reredos includes paintings by John Farrington Earley (1831-1973) of Earley and Powell, the Birmingham-born stained-glass artist who was strongly influenced by Pugin and Hardman. 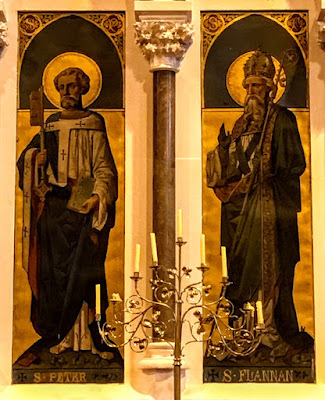 The paintings on the left (north side) of the reredos show Saint Senan, the patron of Scattery Island, and Saint Paul, while those on the right (south side) show Saint Peter and Saint Flannan, the patron of the Diocese of Killaloe. Two further paintings, over the side doors depict Saint Joseph and the Archangel Michael. 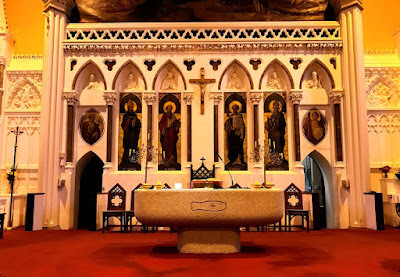 The busts in the upper tier of the reredos depict Saint Mary Magdalene, Saint Bridget and the Virgin Mary, on the left, and Christ, Saint Joseph and Saint Patrick on the right. 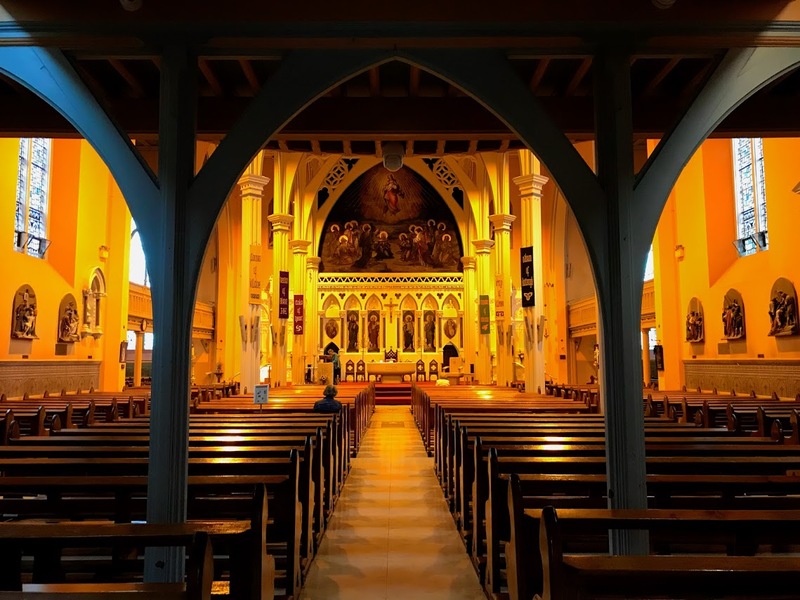 When Thomas McRedmond was appointed coadjutor Bishop of Killaloe in 1889 and then bishop of the diocese in 1891, he decided to base the diocese at the church in Ennis, and so the parish church was designated as the pro-cathedral of the Diocese of Killaloe. The main entrance to the cathedral was built in 1894, and the building was redecorated extensively. It had taken two architects and almost 70 years to complete the cathedral. In the 1930s, a new sacristy and chapter room were added to the building, and the present pipe organ and chapter stalls were installed. 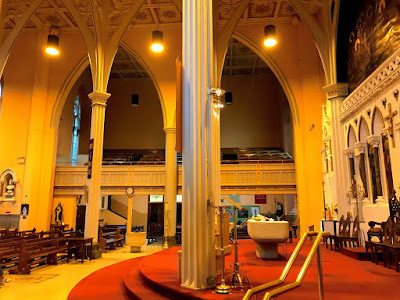 The cathedral was closed for six months in 1973 while it was remodelled in line with the liturgical changes introduced with the Second Vatican Council, and McCarthy’s High Altar was removed, as well as the altar rails and pulpit. The new altar, ambo, font and tabernacle were designed in Wicklow granite by Andrew Devane. The pro-cathedral was re-dedicated as a cathedral in 1990. 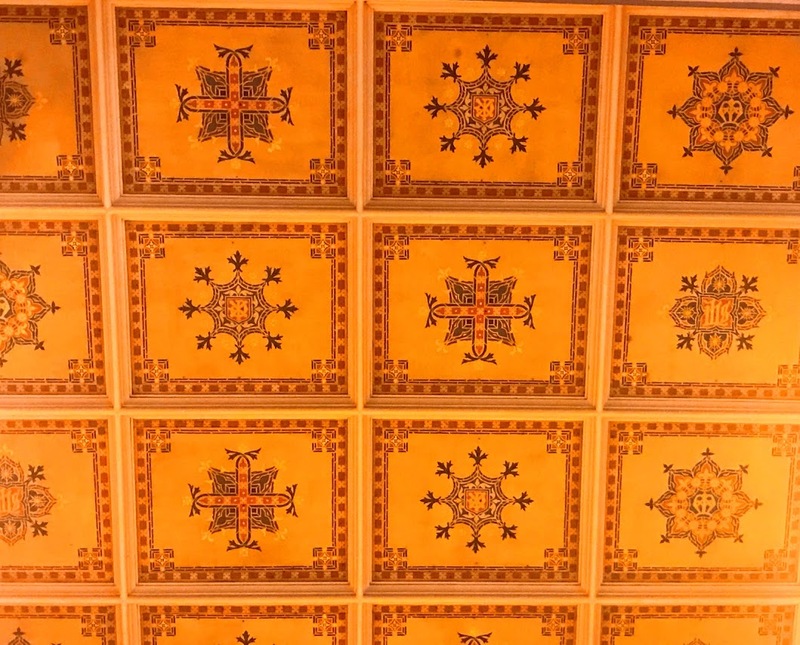 After a fire in the cathedral in 1995, the sanctuary was rebuilt and the interiors were redecorated, with work completed at the end of 1996. 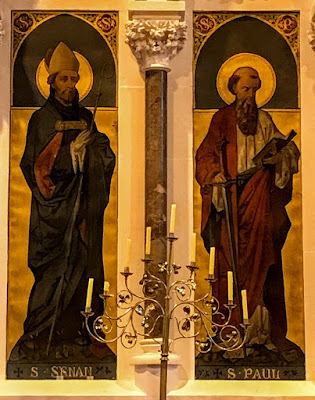 For Saint Flannan’s Cathedral, Killaloe, the Church of Ireland cathedral in the Diocese of Killaloe, see HERE.